Every pip counts. Take time this season to consider this. 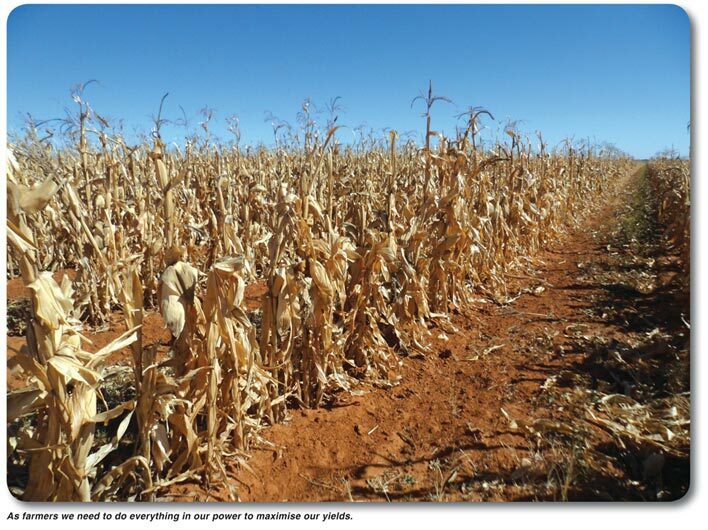 We have experienced a terrible drought this year and as a result the maize price is set to remain high. As farmers we need to do everything in our power to maximise our yields in order to recoup losses caused by the drought. To do this we need to make sure that our harvesting operations are as clinical as possible as ever pip really does count. We need to be as meticulous as possible in every aspect of the harvesting operation from machinery upkeep to the marketing of your grain. Before you start harvesting, take time to develop an effective operation strategy. This should include a machinery maintenance programme, an order of work and a marketing plan. Here you should look at every piece of equipment that will be working during the harvesting season from the combine to the trailers. Everything needs to be checked through with one main goal which is to reduce wastage as much as possible. In the average year we often overlook small leaks in our equipment with excuses like ‘it’s not that much’ or ‘the cattle will eat that grain’. But the fact of the matter is that every year we incur huge losses due to machinery which is not properly maintained. On your combine make sure that your sieves are properly fitted and that they are the correct size for the kernels which you will be harvesting. Check for holes and dents. Go over all the joins and seems on your combine to check that there are no gaps where seeds can leak out. 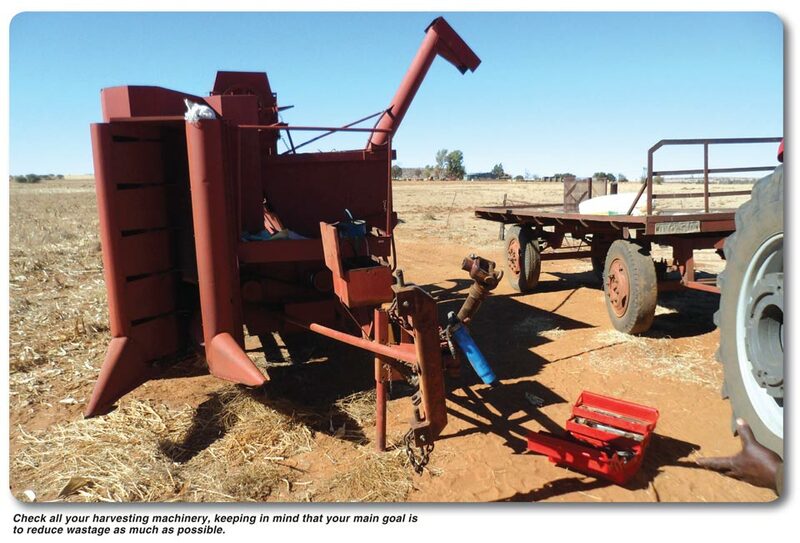 Make sure that your de-bulking auger is working well and that there are no leaks in the hopper and on the auger pipe. On the combing header be sure that you set everything correctly according to your row spacing. On the trailers and trucks you should check that all gaps and cracks are also sealed and that the grain doors close tightly and securely. Train your staff that will be operating the machinery to check and double check these before they set off to deliver the grain to your point of delivery. Also train your combine operator to always make sure that he turns off the auger when he is finished de-bulking and returns it to the stow away position. I have heard on many occasions of drivers leaving the auger running and wasting tons and tons of maize while combining. This year we cannot afford any mishaps like this. Here you should plan your movements and the order in which you will combine your lands. A lot of this will be determined by the moisture content of the grain but you should, as best as possible try to calculate the most efficient order of operations so that you can cut as much cost as possible. Everything runs on diesel and diesel is one of the biggest expenses of the harvesting operation. If you plan effectively in a manner which reduces distances travelled from point of harvest to point of delivery then you can make a big saving on fuel. For example; if I have a land 5 km away from my shed and another 6 km away, it will make the most sense to do those two lands at the same time. This will save me from having to return all the machinery there on another occasion. As farmers we are ‘price takers’ which means we have to accept the price which is determined by the market. Unfortunately there is not much we can do about that. There is however different strategies which you can implement to make sure you receive the best possible price for your grain. Shop around – not all institutions pay the same rate, therefore make sure that you find who is paying the most. Contract – if you keep a close watch on what the market is doing you can hedge the price which you will receive for your crop at any point. Be sure to consult with a broker before attempting this strategy as there is risk involved. I have heard of farmers this year hedging the price at R3 500/ton of maize and subsequently it rose to R5 000/ton, therefore they will essentially lose out on R1 500/ton of maize. Storage – as farmers we may not be able to set the price but we can decide not to sell. Many farmers do this in years when prices are lower and wait for an increase in price before deciding to sell. I can’t see that being the case this year. Farming is all about margins. We need to do all that is in our power to increase the margins of potential profit and decrease the margins of possible loss. Our grain that we produce is cash; we therefore need to make sure that the machinery and equipment which is handling our cash is not leaking rands and cents along the way.